"The Good Dinosaur" may have a simple title, but it has a strong and emotional story. 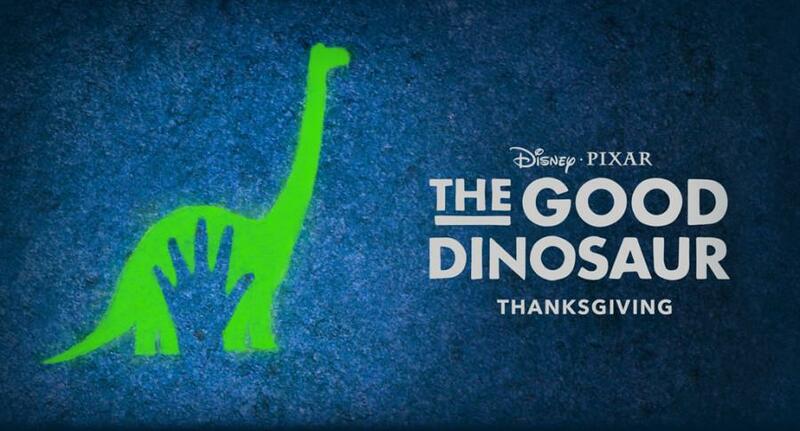 Pixar’s “The Good Dinosaur,” released Nov. 25, was released in time for Thanksgiving. It delivers a good story on family and trust. Set in an alternate timeline in which the asteroid that wiped out the dinosaurs missed, the movie tells the story of Arlo (voiced by Raymond Ochoa), a fearful young Apatosaurus who is trying to earn his mark in his family. When he is accidentally swept up in a storm, he is forced to find his way home. Along the way, he befriends a human boy and learns a valuable lesson on courage. As per usual for Pixar, “The Good Dinosaur” sports amazing visuals and animation. These visuals really set the scenery of the film, allowing for a grand environment that befits the title and is amazing to watch on screen. “The Good Dinosaur” also boasts an interesting set of characters. Arlo was a very relatable protagonist; his fearful personality made him a character to sympathize with. His human companion, Spot (voiced by Jack Bright), was a very complex character; despite having no speaking lines and the mannerisms of a dog, Spot had a loyal and unique personality and had some heartwarming moments over the course of the story. Arlo’s father, Poppa Henry (voiced by Jeffrey Wright), was a strong character, serving as a driving force for Arlo’s physical and mental journey during the story, despite not having much screentime. Despite an interesting storyline, grand visuals, and well-developed characters, the movie holds one problem. Unlike past Pixar films, “The Good Dinosaur” does not have much memorable dialogue. While some lines from this film are somewhat interesting, they do not come even close to Pixar’s other memorable quotations (“YOU… ARE… A… TOY!! !” and “To infinity and beyond!” from “Toy Story,” “Just keep swimming” from “Finding Nemo,” and “Anyone can cook” from “Ratatouille” come to mind). In general, “The Good Dinosaur” hosts well-developed characters and stunning scenery, but dialogue falls short. This movie has something for people of all ages to enjoy.